caa4nsw | COMMUNITY ACTION ALLIANCE FOR NSW (CAAN): HOUSING INEQUALITY WITH AUSSIES LOCKED OUT! RELATED STORY: Did Barnaby Joyce miss an opportunity to get a better deal on water buybacks? Here in Victoria. Bushfires and drought. We must be a nation of vision. The one thing we can do to drive a solution to reduce the effects of drought is build the Bradfield Scheme. An ambitious plan from the 1930s, the Bradfield Scheme was aimed at diverting floodwaters from the north of the country inland. And March’s tweet was not the first time Mr Joyce had mentioned the scheme. Earlier in the year, in response to the devastating floods in Queensland and one of the driest years on record, he told Sky News: “We could start the process of the Bradfield Scheme”. “The solution is moving from where we have too much to where not enough, from where there is an abundance to where there is paucity. This is something we could do. “If that water was to come down, we would have irrigation through western Queensland towns, through western NSW. The NSW Nationals also brought attention to the scheme in February, with a promise to put “$25 million on the table” to investigate building a modern version of the scheme. 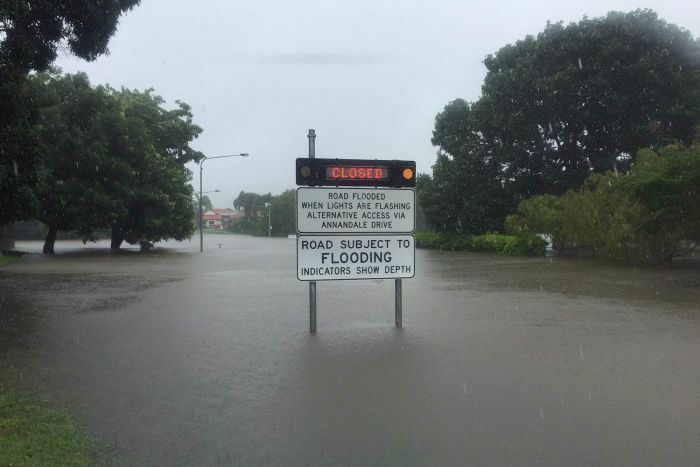 “The cyclones, the perennial wet season in Queensland, we can utilise this excess precipitation for the people in NSW,” they said in a Facebook post. So, is the Bradfield Scheme the solution to easing the effect of drought and floods in northern Australia? 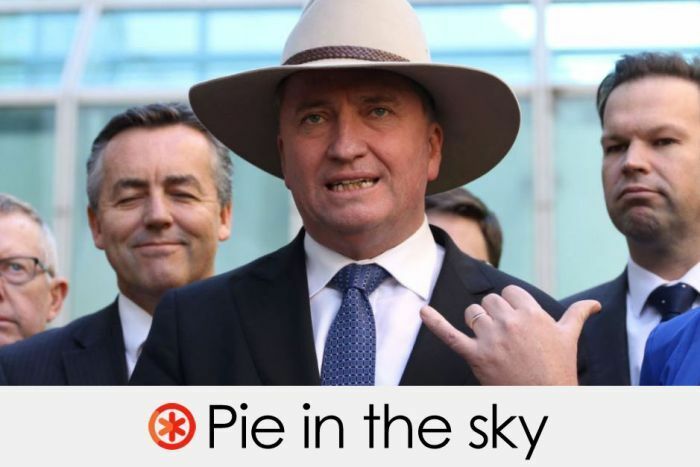 Verdict: pie in the sky. The viability of the Bradfield Scheme as an irrigation plan has been dismissed many times by experts over the past 80 years. The scheme has been rebutted on scientific, engineering and economic grounds. Statutory authorities and government departments, as well as independent researchers, have identified “miscalculations”, “tremendous costs”, “overestimations” and scientific inaccuracies contained in the proposed scheme. 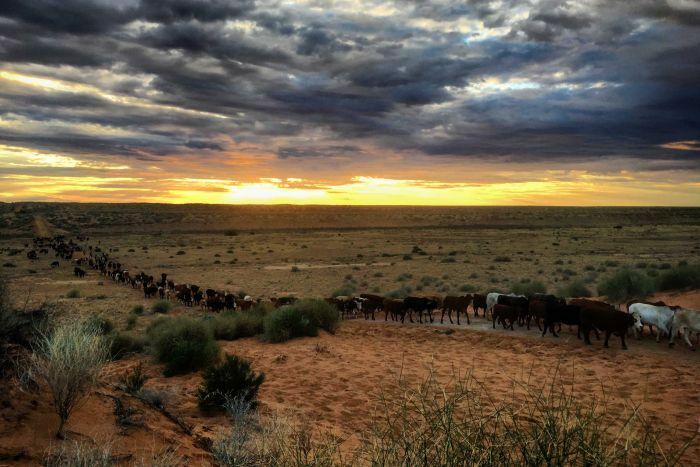 They rejected its promise of moderating the climate and of delivering increased rainfall to Australia’s arid centre. Experts told Fact Check that engineering solutions and alternative models for diverting water inland could be found, but the costs were likely prohibitive, with no guaranteed agricultural benefits. “[It] wouldn’t deliver; wouldn’t repay the cost,” said Professor Richard Kingsford, director of the Centre for Ecosystem Science at the University of NSW. What is the Bradfield Scheme? In 1938, John Job Crew (JJC) Bradfield, engineer and principal designer of the Sydney Harbour Bridge, proposed an ambitious water infrastructure plan that became known as the Bradfield Scheme. According to a 1947 report by William Nimmo, the chief engineer of the Stanley River Works Board, Bradfield’s 10-page typed plan had been submitted to the office of then-Queensland Premier William Forgan Smith. It was titled: “Queensland: The Conservation and Utilization of Her Water Resources”. Studying rainfall patterns, water resources and the impact of drought, Bradfield envisaged a complex hydraulic system using dams, pumps and pipes to divert floodwaters from the coastal rivers of north Queensland inland across the Great Dividing Range. However, Bradfield’s plan was rejected by the government due to a lack of research and the anticipated high cost of the proposal. Despite this, Bradfield reportedly continued to push his proposal through the media and in public lectures until his death in 1943. In 1941, he had expanded his proposal to include extra dams and a larger irrigation area suitable for irrigated crops such as maize, rice and cotton. Bradfield’s revamped scheme — titled Watering Inland Australia — was published in the Australian illustrated magazine Walkabout in June of that year, and in Rydge’s Business Journal the following October. Again, the scheme was rejected. Would it improve the climate? The Bradfield Scheme had predicted that by increasing irrigation in the dry centre of Australia, the country’s farmland would be expanded, creating jobs, increasing food exports and drawing people to land that was sparsely inhabited. “Far-reaching schemes are required to ameliorate the climate and rejuvenate inland Australia,” Bradfield wrote in Watering Inland Australia. “Australia eventually should easily accommodate 90 million people, 30 per square mile. A key point in Bradfield’s theory was that, by supplying water and maintaining permanent water surfaces in the continent’s centre — like a full Lake Eyre in northern South Australia — the centre’s climate would improve with increased rainfall and lowering of temperatures. He based this suggestion partly on prior research done by meteorologist Edwin T Quayle, who investigated increased annual rainfall around rivers, lakes and irrigated cultivations in western Victoria and South Australia. In 1945, a committee of four meteorologists established by the Queensland government investigated the expanded Bradfield Scheme, under the direction of H N Warren, director of Meteorological Services. The committee included Quayle, whose research Bradfield had drawn upon. Their findings — which were endorsed by all but Quayle — were presented to the federal parliament, and concluded that Bradfield’s increased rainfall suggestion “could not be substantiated”. It said the potential climatic improvement was “overestimated”. Earlier this century, another expert group reviewed the scheme, with its findings published in the Australian Meteorological Magazine in 2004. The paper, co-authored by scientists from the Bureau of Meteorology Research Institute and CSIRO, and with the benefit of longer term data and sophisticated climate models, also considered whether flooding inland Australia could lead to climate amelioration. To test Bradfield’s theory, the team used examples of international research on the significance of water surfaces to climate amelioration, the results of the earlier reviews of the scheme, and evaporation rates in the area. They also used large-scale models developed by the CSIRO and the University of Melbourne, namely C-AM (CSIRO conformal cubic atmospheric model) and MUGCM (Melbourne University atmospheric general circulation model). 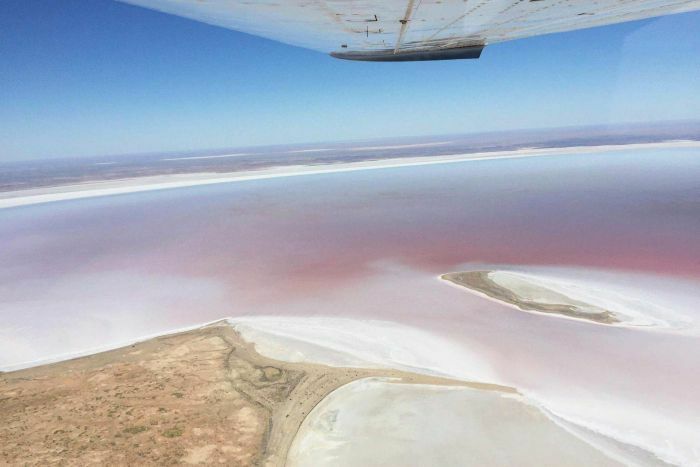 The experts concluded that diverting floodwaters to the centre of the country and maintaining a full Lake Eyre would change the climate only marginally, if at all. Dr Neville Nicholls, co-author of the paper and currently emeritus professor at Monash University, told Fact Check that even if large evaporation could be avoided, there would not be substantial changes to the climate. “We found no evidence that the scheme would help avoid droughts by increasing inland rainfall or decreasing temperature, except very close to the water body,” he said. Another major point of criticism of the Bradfield Scheme was the estimated costs of implementing it. Bradfield had put the cost of his revised scheme in 1941 at “up to £40 million”, which translates to approximately $3.2 billion in 2018 prices. Experts said this was likely a gross underestimation. 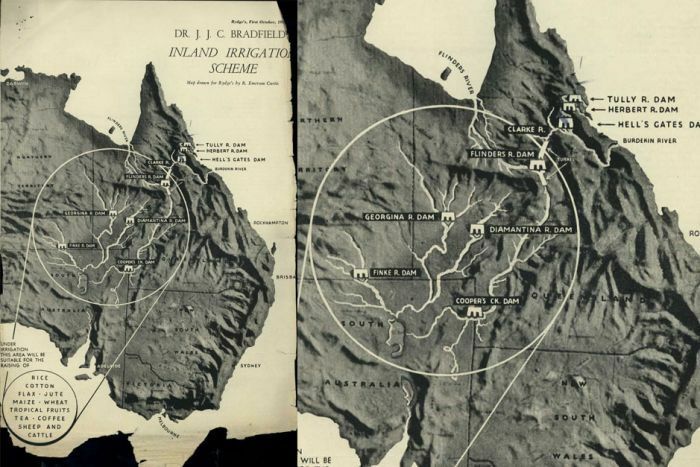 In 1947, hydraulic engineer William Nimmo’s critical review demonstrated that Bradfield had overestimated the “water capability supply” — the quantity of floodwater available for diversion — by 250 per cent, while grossly underestimating the plan’s cost. According to Nimmo’s calculations, the cost of delivering water to the Flinders River alone would be almost $6.9 billion (in 2018 dollars). The cost of taking it over the mountains to potential irrigators would be “enormous”. A letter from the prime minister’s office to the Farmers and Settlers’ Association of NSW that was signed by the minister for post-war reconstruction, John Dedman, referred to both the unfavourable findings of Nimmo’s report and the meteorologists’ earlier review of the scheme. Nimmo had also found that, in places, ground elevation had been miscalculated and some water diversions would therefore require electricity to be achieved. This would further drive up running costs. Experts questioned whether the price of the water making it to the end of the system would be affordable for irrigators. At the time, according to reports, Nimmo had calculated that the cost to irrigators would be 25 to 30 times the cost of water being supplied to Victorian and New South Wales farms by the Snowy Mountains Scheme. Another study carried out in 1982 by Cameron McNamara, consulting engineers for the Queensland Government, also identified “underestimated costs” and “engineering miscalculations” of the original Bradfield Scheme. That study also questioned the suitability of the land to be irrigated for certain crops. Around the same time, others continued to champion a scheme of this nature. In late 1981, for example, a Queensland Northern Peninsula Area (NPA) Water Resources sub-committee — comprising Dr Eric Heidecker, Roy Stainkey and Bob Katter Jnr — introduced the Revised Bradfield Scheme for specific diversions. However, this iteration of Bradfield’s idea also failed to gain traction. University of NSW Professor Richard Kingsford told Fact Check that while the cost of implementing the Bradfield Scheme today was estimated to be in the billions of dollars, the main consideration was whether the resultant productivity gains would be enough to justify the cost of diverting the water. “[It] wouldn’t deliver; wouldn’t repay the cost,” he said. Dr Daniel Connell, a research fellow at the Australian National University, agreed that the scheme would only be possible with “massive government subsidies which far exceed the value of what would be produced”. “It’s much cheaper to desalinate water, the cost of which now makes that option feasible for a wealthy city, but still far above what is needed to make agriculture financially viable,” he said. Experts told Fact Check that alternative models and schemes could be easier — and cheaper — to implement than Bradfield’s, but the extent of any potential agricultural productivity was likely to be fiercely contested. Professor Kingsford told Fact Check that beyond the recent devastating events in Queensland, floods in general had “a significant role to play in the ecosystem”. 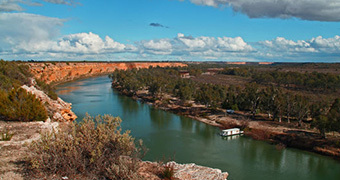 “In the Murray-Darling, we have large areas that are dying with not enough water because, essentially, we have taken the floods away,” he said. Diverting floodwaters from their natural paths could cause wide movement of invasive species, collapse marine and estuary ecosystems, and even cause economic damage to coastal communities, according to experts. He also pointed out that the Snowy Mountains Scheme was like a mini-Bradfield in that it had diverted water successfully to irrigators, although at the same time “it has devastated the [Snowy] river”. The Bradfield Scheme has continued to get a nod from politicians of varying political hue, including former Queensland premier Peter Beattie (2007) and independent federal MP Bob Katter (2018). Professor Albert Van Dijk, of the Australian National University, told Fact Check that scientists used the term “pipe dream” for such optimistic but outdated ideas. “Grandiose ideas like these have historically resurfaced every time that elections are held during a drought,” he noted. ANU Emeritus Professor of History Tim Griffiths agreed that, historically, the “reviving” of the Bradfield Scheme coincided with droughts, floods and times of crisis in general. Professors Van Dijk and Kingsford both agreed that there was no easy fix for drought. “We have to essentially be able to live with the droughts that come regularly to our continent,” Professor Kingsford said. In recent years, federal and state governments have commissioned various studies into Australia’s infrastructure and water security. Fact Check was unable to find any direct reference to the Bradfield Scheme among them. The Bureau of Meteorology and CSIRO were unable to provide any more recent research on John Bradfield’s ambitious infrastructure plan. THE whole Population Ponzi Scheme is on fragile ground … as previously extensively discussed on CAAN, and what is presenting a danger, and disappointing is the Pollies use of WeChat, the access by Migrants and their families to our Politicians … the pressure they are exerting leading up to this Election … how can this not be a concern for our Democracy? IT would appear Labor is responding following Scomo having announced on WeChat 15,000 sponsored Parental Visas to be granted each year starting from April 2019 … to capture the High Net Worth from China rather than the Indian Community who are objecting to the fees despite the enormous cost of BILLIONS to the Australian Taxpayer! WHY can these people simply not visit their families overseas? That is what happens elsewhere! AT the same time we are told we need high migration numbers to support OUR EXISTING ageing population? FOLLOWING a report on 2GB and another from the Unconventional Economist! Demographers are warning of a wave of about 100,000 new migrants under Labor’s plan for an uncapped long-stay parents’ visa. The plan would allow for an unlimited number of migrant parents to be reunited with their children with Labor announcing the three-year sponsored parents’ visa would cost $1250 and a five-year visa, $2500. The Coalition parents’ visa is capped at 15,000 people, costing $5000 for three years and $10,000 for five. Demographer Bob Birrell has labelled Labor’s plan as “vastly more generous”. “Currently, there are about 7,000 parent places in the migration program but there’s a backlog of 100,000 applicants. Labor has revealed its proposed three- and five-year sponsored parents’ visas would cost $1250 and $2500 per entrant — a quarter of the cost of the Coalition’s parents’ visas — and would be available to an unlimited number of applicants. Under Labor’s and the Coalition’s policies, applicants would have to obtain health insurance and any debts they incurred during their stay would have to be guaranteed by sponsors. Demographer Bob Birrell said the uncapped nature of Labor’s policy could drive up demand for hospital beds and doctors. “It is highly likely that demand for particularly health services will grow because of the high incidence of health problems for older people,” he said. Overall, the cumulated lifetime fiscal costs (in net present value terms) of a parent visa holder in 2015-16 is estimated to be between $335 000 and $410 000 per adult, which ultimately must be met by the Australian community. On this basis, the net liability to the Australian community of providing assistance to these 8700 parents over their lifetime ranges between $2.6 and $3.2 billion in present value terms. Given that there is a new inflow each year, the accumulated taxpayer liabilities become very large over time. This is a high cost for a relatively small group. Clearly, the open borders nutters at the Labor Party have gone against the explicit recommendation of the PC by announcing the rapid expansion of the parental visa system. The budgetary cost of having up to 100,000 elderly migrants pile into Australia under Labor’s policy is likely to be enormous – potentially tens of billions of dollars – and will place immense strains on infrastructure, health and social services, which are already under pressure. Moreover, with the proposed fees set so low – at around $500 a year – existing residents will be required to foot the cost for the additional investment in hospitals and infrastructure required to meet the additional demand. Existing residents will also likely see the cost of their private health insurance increase as the elderly migrants become heavy users of the health system, thereby requiring cross-subsidisation. There is no magic pudding when it comes to the budget, and the massive fiscal cost of Labor’s policy will divert funding from other worthwhile areas, such as raising Newstart, investing in infrastructure, or increasing disability funding. Labor clearly cares more for the welfare of elderly citizens of other nations than Australian voters. Otherwise, why would they support such egregious fiscal vandalism? 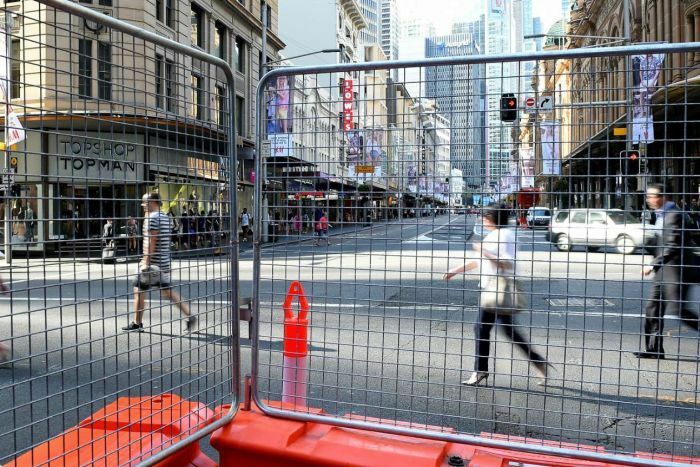 Dozens of businesses and landlords outraged over the delayed light rail project from Sydney’s CBD to the eastern suburbs have filed a class action lawsuit against the NSW government. The case, which has more than 60 claimants so far, was filed in the NSW Supreme Court on Tuesday morning and seeks millions in compensation from the government over “poor” planning decisions. 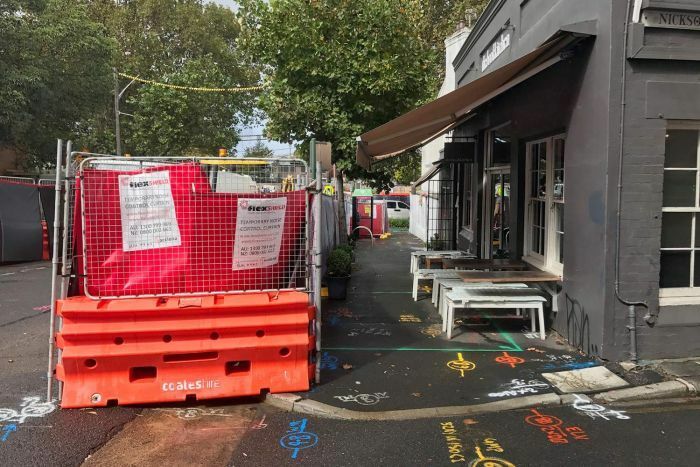 The business owners say the state government’s multi-billion dollar light rail project has caused them “substantial” loss and damages, Mitry Lawyers said in a statement on Tuesday. Sophie Hunt, of Hunt Leather on George Street, has seen sales decline by 50 per cent since construction works began in October 2015. “The effect has been devastating (with) horrendous dust, staff with migraines, bleeding noses, ear pain, asthma attacks, how can you sell in that condition?” Ms Hunt told reporters outside the Supreme Court. “Of course I’m angry, we were perfectly fine. We’ve had to sack people, we’ve had to take on a second mortgage through no fault of our own — if it had have been six to eight months (as promised) we would have been fine.” Ms Hunt said her business had been affected for more than two-and-a-half years. Lawyer Rick Mitry argued his clients have a strong case against Transport for NSW. “Quite frankly, to see the despair on some of their faces disturbed me,” Mr Mitry said on Tuesday. “Their businesses were destroyed and they were destroyed.” The class of 60 businesses is expected to grow as the case gains momentum. The lawsuit is the latest in a string of legal actions hanging over the light rail project to Randwick and Kingsford. Spanish sub-contractor Acciona is seeking an extra $1.2 billion saying it was misled over the complexity of the project. Queensland-based contractor VAC Group is seeking $4 million plus damages from the government because of alleged misleading and deceptive conduct. The light rail was meant to be finished in 2019 but main contractor ALTRAC told the government in April the new completion date was March 2020. The project was originally budgeted to cost $1.6 billion before a $500 million blowout. Despite the issues, NSW Premier Gladys Berejiklian said she’s “not concerned at all” about the “amazing project”. ‘THE incompetence of the NSW Government is staggering. AND it would appear the Federal LNP policies allowing high immigration, Visa Manipulation & Permanent Residency have facilitated the NSW Farce and COST NSW Incumbents far too much! In the wake of the massive cost blow-outs and delays hitting both the Parramatta Light Rail Project and the Eastern Suburbs Light Rail Project, the former head of Infrastructure NSW, Paul Broad, in June described the Eastern Suburbs Light Rail Project as a waste of money and a vanity project that should have never been started. This was immediately followed by a secret report prepared by the NSW State Government’s own experts – the Transport for NSW’s urban domain reference group – which warned the plan for Eastern Suburbs Light Rail Project was ill-conceived from the outset. In August, NSW Auditor-General Margaret Crawford slammed the management of the Eastern Suburbs Light Rail Project, claiming the Government’s failure to conduct a proper business case has led to a $500 million cost blowout. RBA Governor, Phil Lowe, also panned the project as a textbook example of poor oversight. In September, the farce intensified further with more than 60 businesses and landlords launching a class action lawsuitagainst the NSW Government. It was also revealed that NSW taxpayers are on the hook for a $500 million loan undertaken by the consortium building Sydney’s light rail project. Then in November, the Auditor-General released a report predicting further cost blow-outs. As we already know, Spanish subcontractor Acciona sued the NSW Government for $1.2 billion, in addition to the projects existing $2.1 billion cost, claiming it had been misled about the cost of ripping up powerlines under the CBD and replacing them. Sydneysiders also face a one-year delay for the project to be finished. Opposition transport spokeswoman Jodi McKay said that “the Liberals’ incompetence now requires further money for contractor claims and modifications that should never have happened”. “This government has given the consultants and financiers another hefty payday at the expense of taxpayers,” she said. The incompetence of the NSW Government is staggering. It has messed up nearly every major infrastructure project that it has embarked upon in a futile attempt to keep pace with Sydney’s break-neck population growth. Let’s hope it can do better this term. 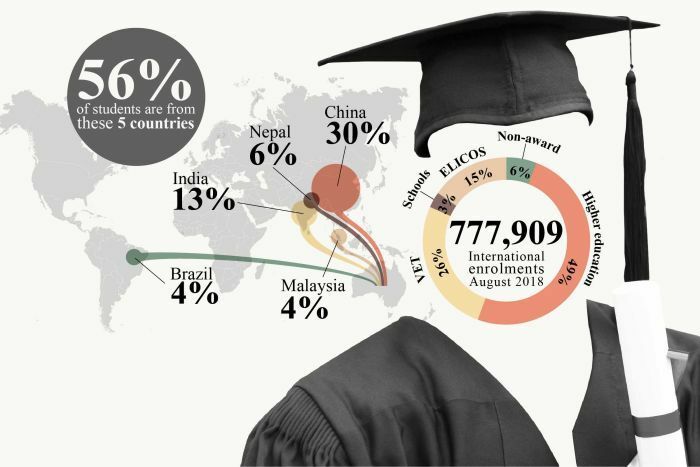 Universities Australia chief executive Catriona Jackson said the English language standards set for international students were similar to those in the US and Britain, and overseas students at academic institutions in Australia had similar success in completing their studies compared with local students. *Ms Jackson said Department of Education data showed student success rates at 86 per cent for international students and 84 per cent for domestic students. *Lies, damned lies and statistics. As shown by the Australian Population Research Institute, Non-English-Speaking-Countries (NESC) represented 84% of overseas born persons aged 25-34 who held degree or above level qualifications at the time of the 2016 Census. 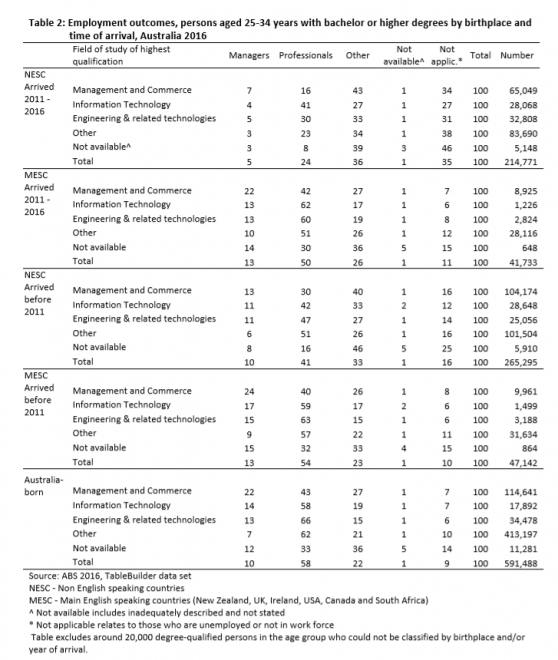 Moreover, problems with NESC international students have been well known for years. A Four Corners investigation has unearthed alarming new evidence of a decline in academic standards at institutions around the country. Lecturers and tutors are grappling with a tide of academic misconduct and pressure from faculty managers to pass weak students. Many say commercial imperatives are overtaking academic rigour. Right now the country’s 40 universities are pulling in billions of dollars from students who are desperate for a degree from an Australian university and the possibility of a job and permanent residency. This week, reporter Linton Besser also provides alarming evidence of corruption among the network of overseas agents who tout for business on universities’ behalf. Ironically, these forces are also placing international students under enormous pressure. Despite the promises of agents, and after meeting universities’ entry requirements, many don’t have the level of English needed to successfully undertake a degree course. Standards have also continued to slip. An ABC investigation last year “uncovered an abundance of international students who describe struggling to communicate effectively in English, participate in class, or complete assignments adequately”. Various academics, employers and education experts also told the ABC that “English language standards are often too low or can be sidestepped via loopholes, and that students are often put in stressful classroom situations that can lead to cheating”. Premier Daniel Andrews has written a letter to the National Tertiary Education Union promising to take up the issue of English entry standards with the federal government. Acting Minister for Higher Education James Merlino said the situation was unfair on international students and teachers. “International students are a vital part of Victoria’s education system but it’s concerning that some students are enrolled in courses without adequate English language skills to complete them,” he said. Academics, tutors and students say some international students are struggling to understand instructions in class, complete assignments and communicate with other students. They say English standards have been set too low and can be bypassed by enrolling in bridging courses. Academics say they feel pressured to pass struggling international students as concerns grow about universities enrolling students with little English. One scholar said this “moral and ethical quandary” was behind his decision to leave Australia and find work overseas. “Once international student enrolment in our course surpassed 50 per cent, there was significant pressure to pass work which we would not have only a few years prior,” he said. He is among more than 60 academics, tutors, students and parents who inundated The Age on Wednesday with their concerns about the inadequate English skills of some international students. 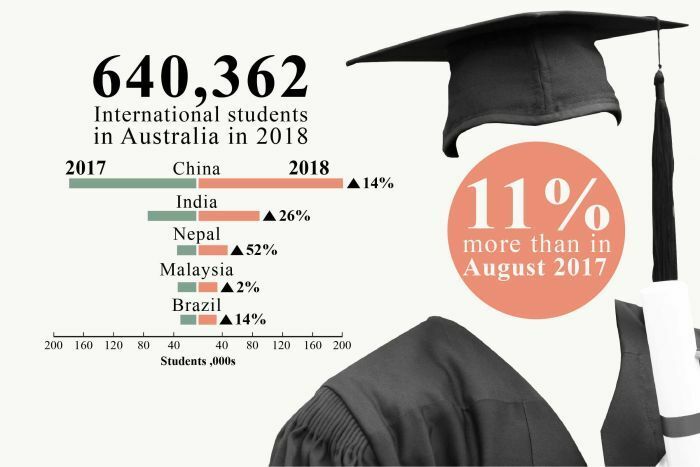 International student associations are calling for more regulation of overseas migration agents as they reveal cheating on English tests required for Australian universities can be common practice. The test is taken before a student is granted a visa and accepted into a tertiary education institution. The ABC spoke to one international student, Maria Shumusti, who said she knew at least five students who had cheated. Ms Sharmusti was previously the public relations officer with Council of International Students Australia. Australian Federation of International Students former president, Pratik Ambani, also suspected some students were guilty of cheating and believed it was a common practice overseas. Clearly there are deep problems within the university system that necessitate thorough investigation. 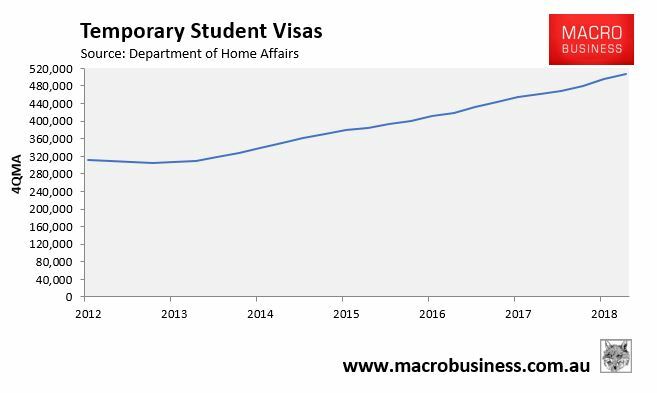 Therefore, one of the first orders of business for the incoming federal government should be to engage the Productivity Commission to undertake a warts-and-all inquiry into Australia’s bloated international student trade. This would provide Australians with a transparent analysis of the costs and benefits from this program. As an aside, I discussed the issue yesterday on Radio 2GB: View Source link for Video. ‘What I wish the previous tenants told me before I moved in’ … Renters ought unite through crowdsourcing … might be a way of getting developers and landlords to lift their game? Since moving back to Sydney two years ago, I’ve moved three times with my partner, and in that time there are a few things we wished previous tenants could have told us before we chose our rentals. I like to think of it as crowdsourcing info, if you will, because as a tenant you have a measly 15-minute window to figure out if it’s the place you want to live in for the next six to 12 months among a sea of other properties that you are racing around the city to get to on the same day. There’s only so much you can assess in that short-time span and it’s usually the plainly obvious — trying your best to measure up if the place is big enough to fit in your furniture from the last rental and whether the property’s condition is up to scratch to live in, because up until recently minimum standards in rentals were not a thing. A rental review would go some way in helping pick up the inconspicuous problems. In our first rental, we moved into a new build and, as you’d expect, everything was brand spanking new. It also had lots of extras included from a dryer to a dishwasher to ducted airconditioning, so we couldn’t really fault anything at first sight. *It wasn’t until we moved in that the shine wore off really quickly. While our apartment was finished, the thousands of others in neighbouring blocks weren’t and we were basically living on a construction site for six days of the week. Constant noise and dust was part and parcel of our six-month lease. New builds are also notorious for squishing a lot into not a lot of space. They’re often described as shoebox apartments but we preferred to describe it as more of a dungeon with only one opening in the entire apartment, which looked onto hundreds of neighbouring balconies. The lack of windows in the kitchen, bathroom and laundry dimmed our spirits and it was only when we moved into our next two rentals did we realise the importance of direct sunlight and a natural breeze. Which brings me to our second rental. It was by far the best we’ve ever had but hindsight is 20/20, right? It was a huge upgrade from our first in every way. We were on the top floor of a red double-brick block of nine apartments and it felt like we were sitting among all the surrounding gorgeous gum trees. We had a window in every single room — a bizarre luxury after our first place — meaning we could heat and cool down the apartment without the need for aircon for almost the entirety of summer because of the amazing cross-ventilation. I could go on, but there were a few things we would have appreciated knowing even in this place. Parking was an absolute nightmare both in our garage and on the street, something that hadn’t crossed our mind until moving day. We also quickly found out we had rowdy, chain-smoking neighbours, whose balcony was adjacent to ours with a nice, clear view into our home and who had a penchant for partying throughout the week. But I guess you can’t have everything. Our third rental has also had its fair share of surprises. The first and most noticeable issue is the outrageously loud traffic, which dies down considerably on a weekend – incidentally, when you normally check out a rental. You can’t hear over your Netflix at nighttime and the noise causes a murmuring through the windows in what should be the dead of night. The other peculiar thing about this rental is the weak water pressure, which doesn’t allow two taps to run at once because it turns into little more than a trickle. It has left us coordinating when we take showers and do the laundry or washing up in the kitchen. Funnily enough, we did remember to test the kitchen tap on inspection day and thought it ran well enough. But we didn’t get to running two taps from two different rooms at once because the apartment was packed with other prospective tenants and we were in a rush to get to our umpteenth back-to-back inspection of that day. But I’m sure the previous tenants would have experienced the same water pressure issue. I wish they’d been able to tell us and I plan to tell whoever succeeds us in living at our current place. 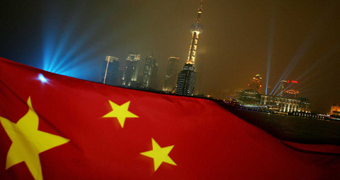 China’s strong economic growth numbers released last week were acknowledged by the nation’s leadership in a Friday statement that slipped under the radar during Australia’s long weekend. The nation’s top decision-making body — the Central Politburo of the Communist Party — confirmed growth during the first quarter had been better than expected. The 6.4-per-cent March-quarter growth rate was in-line with the rate recorded over the last three months of 2018 and higher than the 6.3 per cent typically forecast by analysts. 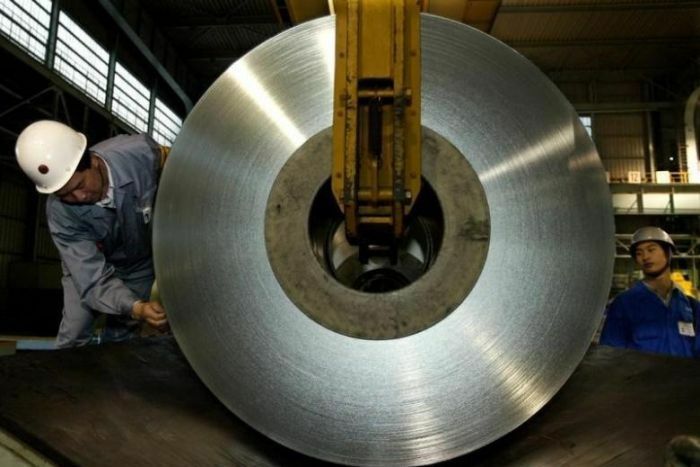 The most surprising figure, though, was industrial production, which surged from the previous month’s annual growth rate of 5.3 per cent to 8.5 per cent, well above forecasts of 5.9 per cent. However, while most economists welcomed the rebound in economic indicators, many are warning the recovery is likely to be a stabilisation not a sustained improvement. “While the monthly data are likely to bounce around, we don’t really expect a meaningful recovery in growth over the next 6-12 months,” wrote Neil Shearing, the global chief economist at Capital Economics. “Policymakers in Beijing are more cognisant now than in the past of financial vulnerabilities stemming from rising debt levels. This sentiment appears to be confirmed by a statement released by the Politburo on Friday. “Economic priority has likely shifted from stabilisation to reforms, containing risk, deleveraging, and housing market policy again”, Citi’s China economics team noted. “Moreover, the deleveraging and housing market policy, which were omitted in the 18Q4 meeting, are restated as policy priorities. This means most China watchers do not expect further large stimulus measures, such as a dramatic cut in bank reserve requirements that would boost lending. “As the statement did not mention ‘keeping liquidity reasonably ample’ as it did previously, we believe that going forward, the People’s Bank of China (PBoC) will be more prudent in order to control macro leverage,” observed ANZ’s China economists. This is part of the ongoing process of trying to limit China’s large debt burden, which has grown substantially since the global financial crisis, and to ensure the more productive, rather than speculative, allocation of that debt. Chinese authorities are also trying to engineer a shift away from heavy industrial production, infrastructure and apartment developments towards greater consumer spending on goods and services. 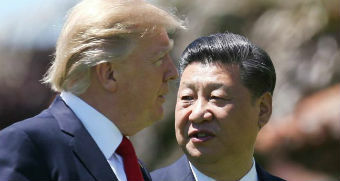 In the context of recent global events, the trade kerfuffle in north-east China is a ratcheting up of diplomatic tensions, writes business editor Ian Verrender. However, this change will be painful for those employed in China’s industrial and property sectors, so Mr Shearing expects authorities may squib on the reforms leading to continued falls in the nation’s growth rate, possibly as low as 2 per cent over the next 10-15 years. “For the US, Europe and other developed economies the headwinds posed by a slowing Chinese economy over the long term are in fact likely to be overwhelmed by other factors — most notably whether the development of digital technologies ultimately feed into faster productivity growth,” he predicted. While being a developed nation, Australia also falls into that second camp of industrial commodity production, meaning it may also be hit hard by this transition. Apartment owners in Australia’s first-ever combustible cladding class action say Alucobond supplier Halifax Vogel Group and manufacturer 3A Composites should replace the combustible panels on their Dolls Point building and pay compensation for costs such as higher insurance premiums. Lead applicants in the case, backed by litigation funder IMF Bentham and represented by William Roberts Lawyers, argue that the polyethylene-core panels failed to meet standards set by consumer protection laws and carried a “material risk” of causing or spreading fire, and increasing the risks to life or property in the event of a fire at their southern Sydney building. The argument by owners of the 17 apartments sidesteps debate about the panels’ compliance with the building code, a key feature of last year’s ground-breaking Lacrosse case in which apartment owners sought damages from builder LU Simon. IMF Bentham investment manager Gavin Beardsell on Monday. While consumer law has long given individual consumers a means of redress for defective products against manufacturers with whom they have no direct relationship, it is the first time the law has been used to bring a claim in relation to combustible cladding. A judgment, or settlement prior to judgment, could give the compensation to owners of potentially thousands of apartments across Australia, as well as owners of commercial and government buildings and even long-term leaseholders with the obligation to rectify defects. The statement of claim filed in the Federal Court shows owners in the four-level Shore building at 172-174 Russell Avenue argue that Alucobond PE-core cladding was “at all material times” a good acquired for consumption under Australian Consumer Law and was, accordingly, subject to ACL guarantee that it be of acceptable quality. A further argument made by the owners of the building completed in 2012 is that the panels used on the building were not of “merchantable quality”, that is, not fit for the purpose for which they were sold, under the Trade Practices Act. HVG chief executive Bruce Rayment did not respond to a request for comment on Monday. Shores Dolls Point, developed by a company called Prestige Apartments Australia, was completed in 2012. In December 2013, a 148-square-metre two-bedroom apartment sold for $930,000, 15 months after it sold off-plan for $800,000, records show. The case is still at early stages. The applicants are still going through the processes of serving papers on Osnabruck, Germany-based 3A Composites. Halifax Vogel, represented by Quinn Emanuel Urquhart & Sullivan lawyers, was only required to file a defence and an initial tranche of Alucobond-related marketing materials, along with an affidavit as to what other relevant documents were discoverable, to the Federal Court earlier this month. Mr Beardsell said his side was unlikely to disclose the identity of other applicants joining the class, as owners did not generally want to make it public that their building had combustible cladding. “One benefit of being in this class action is your identity is not known or disclosed as a group member,” he said. The class isn’t only open to owners of private buildings, but to government and other public owners. These entities have to explicitly opt in to any action, unlike private building owners who were all accepted unless they opted out. William Roberts Lawyers principal Bill Petrovski said he was not at liberty to say if any public entities had opted in to the action.